If you are arriving later than 10pm, please call our front office (530.541.1244) and we can arrange for a check-in packet and room keys to be available upon your arrival. Didn’t sign up for a newspaper? Sign up upon arrival. Please fill out any paperwork that was not filled out pre-arrival. 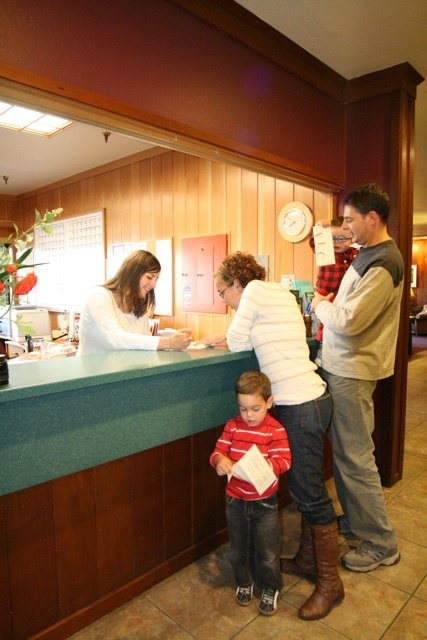 We encourage you to fill out your paperwork prior to arrival so that you can begin your vacation immediately! Early check-out is available for guests who sign-up by noon on Friday. Bill-settling can be done between 3 and 6 pm on Friday afternoon. Any purchases after this time must be made by cash or check.